Over the centuries, the rose has been a favorite flower of many and is a traditional symbol for love and beauty. Over 100 species of wild roses exist. Some are native to North America, but many come from Asia and Europe. The wild rose is the national flower of England and is the most popular U.S. state flower. Although the rose has been hybridized since Roman times, the true wild rose is a single wildflower possessing exactly five petals. Petals are usually pink, with a few whites and reds, and an occasional yellow. Stout, widely separated prickles form along stems that grow several feet long. The rose hips or fruits of several species of the rose plant have always held a significant place in natural medicine. Natural rose hips provide approximately eight times the amount of vitamin C of oranges and up to 100 times that of oranges in concentrated extracts. During World War II, imports of citrus products to Great Britain were limited and tons of rose hips were harvested from the wild to make rose hip syrup as a vitamin C supplement for children. Wild rose hips are weather-hardy and persist on the bush through most of the winter. Many birds and mammals are sustained by these dry fruits when the ground is frozen or covered with snow. 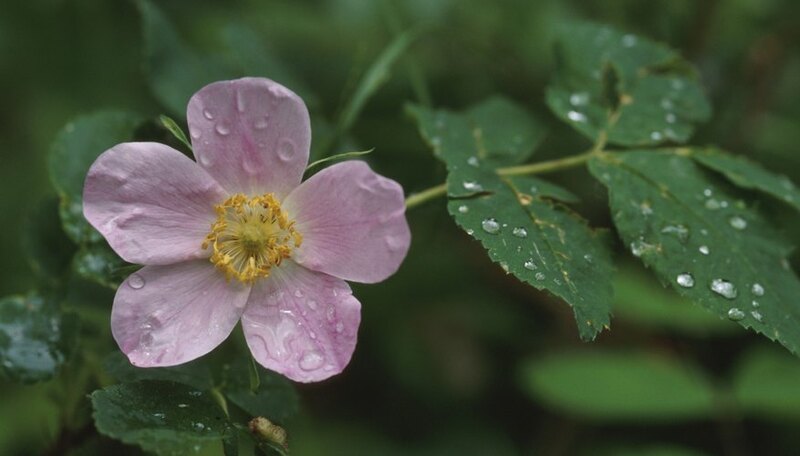 The American Indians used the branches of the rose plant to make arrows and pipe stems. The inner bark was used for tobacco. Rose petals are still a significant contribution to the perfume industry.